Shampoos are vital assets in every lady (and gents) collection and come handy in fixing damaged hairs to look natural and healthy. No doubts, anyone who wants to maintain healthy, full and good looking hair needs good quality shampoo. To improve the quality of your hair, you need to invest in sulfate-free shampoos that will accord your hair the desired texture and quality. If your hair is damaged, the shampoos on this list will work wonders for your locks and scalp. This damage includes anything from split ends from wearing it up too much, putting too much heat on your hair from your blow dryer or straightener, or have gone a little overboard with the coloring treatments. Here are some of the top sulfate-free shampoos that will revitalize your hair. Before choosing a new shampoo, you’ll definitely want to read these reviews. Many of these also have a conditioner counterpart. An important ingredient used in making this shampoo is the Strand-Building Proteins. These proteins are responsible for rebuilding the hair to make it healthy and shiny. This shampoo is sulfate-free and has the capability of repairing completely damaged hair by nourishing hair strands and restoring the damaged cuticles. It’s also paraben free and great for both men and women (unisex). Check it out in more detail here. This shampoo is a product of novel technology. It is indeed an advanced climate control shampoo produced with anti-frizz nanotechnology. The shampoo is sulfate-free and can help the hair look better and smoother. Ingredients that work the miracle include Murumuru Butter, Shea Butter, and Ceramides. These ingredients make the shampoo effective in repairing damaged hair. 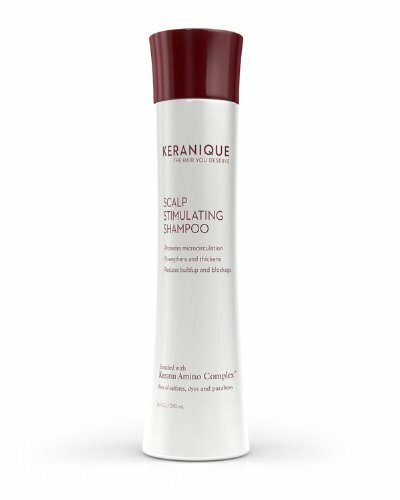 This sulfate-free shampoo is capable of improving the hair texture, volume, smoothness, luster, and elasticity. When applied, this shampoo gives the hair the fortitude to withstand harsh environmental conditions such as humidity. External damage on the hair is also reduced by the shampoo due to its abundant hydrolyzed keratin. It’s highly rated if you are trying to grow your hair. This shampoo is named after the famous entrepreneur Madam C.J. Walker. It is an effective shampoo that can efficiently smoothen the hair and make it shine. This shampoo is a good alternative to silicone. When applied, the hair looks more natural, sleeker, subtle and oozes with sugary scent. You can find it online or at Sephora. The Rossano Ferretti Parma Shampoo is a sulfate-free shampoo which can improve the hair health remarkably. The shampoo protects and fortifies the hair strands and hydrates the scalp. It is rich in all natural oils such as Avocado, Macadamia, and Creatine oils. It is also an effective anti-aging shampoo that does not only repair damaged hair but makes it look fresher and more succulent. It’s very expensive, so maybe try a sample before you buy the full bottle. The Black Vanilla Shampoo is a sulfate-free shampoo that restores the hair moisture to the appropriate balance. It improves the hair softness and shine and also eliminates brittleness, dryness, and dullness. This shampoo improves the hair color and restores its natural moisture. It is a great product for reviving damaged hair and does not contain petroleum, mineral oil or artificial colors. Pureology is free from salt, paraben, sulfate and other harsh chemicals. The shampoo helps the hair to look natural and restores its color. It contains antioxidants and sunscreens that prevent the effect of the sun. This shampoo gives the hair unique and refreshing fragrance. This sulfate-free hair shampoo, when applied daily, delivers great benefit to the hair. It can effectively condition and protect the hair due to the ingredient, keratin protein. The shampoo is not only free of sulfate but it is equally free of sodium chloride, and parabens. Moreover, this shampoo can protect the hair from the harsh environmental condition and prevent hair color change. The hair becomes softer when with the shampoo. This shampoo is sulfate-free and also rich in vitamins E and B5 and some other important nutrients needed by the hair. When applied, the shampoo lubricates the hair, reducing friction and static. Pureacy contains all natural products and no harsh chemicals. It also does not contain gluten, toxic substances. In addition, it’s biodegradable, vegan, hypoallergenic and indeed a great product to make the hair look healthy and natural. DermaChange is a sulfate-free organic shampoo that moisturizes the hair and can improve its volume and quality. The shampoo contains vitamins and rich natural ingredients such as Amino Acids, Coconut Extract, Aloe Vera, Austrian Cehami, Vitamin B5 and Orange Peel. These ingredients help in making the hair fuller and thicker. They are also very effective in preventing and stopping hair loss. The shampoo can be used in restoring the hair color and smoothing out curly hair. This volumizing shampoo contains vital ingredients required to restore damaged hair. It is sulfate-free and has an awesome fragrance. The shampoo is not designed for treating conditions like eczema, psoriasis and so forth but it works well in improving the quality, texture and even the volume of the hair. Some of its ingredients include sodium chloride, sodium cocyl isethionate, trideceth-6, benzyl alcohol, benzyl salicylate, tocopherol and so forth. This hair product line is also one of our top-rated brands for fine hair. This shampoo is very effective in preventing and treating hair frizz. It is a sulfate-free anti-frizz shampoo. It is equally great in smoothing the hair, hence its name. The shampoo not only makes the hair frizz-free and smooth but it also makes it shiny. It protects the hair color from fading which may be caused by harsh weather condition. This brand also is featured in our post, Best Shampoos For Curly Hair. This premium shampoo is made with completely natural ingredients. Some of the top ingredients include Jojoba, Argan, Avocado, Camelia, Peach and Almond Oil. The sulfate-free shampoo is effective in repairing damaged hair and fixing the damage caused by heat, split ends, and styling. Besides, the shampoo makes the hair strong and durable and fixes it from the root to prevent future damage. Maple is a very effective anti-dandruff shampoo that contains rich and natural ingredients such as Jojoba, Orange Tea Tree Oil, and Argan. Not only this, but it is sulfate-free and a great solution to restore the natural color of the hair. Together with sulfate, other harsh ingredients such as parabens are not contained in this shampoo. Maple Holistics has been a top rated choice time and time again. This all natural sulfate-free shampoo is rich in Argan oil and has the capability of completely revitalizing damaged and deprived hair. It soothes and hydrates the hair in such a way that the damaging effect of the sun and heat is completely eradicated. It also contains Jojoba oil which improves the growth of the hair; some other natural ingredients such as almond oil, avocado, and peach fixes frizzies, split ends and hydrates the hair. This shampoo and conditioner combo is currently a best seller on Amazon. So how did we come up with this list? Not only have we done our own research on these products, but we took time to read reviews of each of the following products (among others) and were able to compile a list of what people liked best. Cheap shampoos you can get at the local grocery or drugstore contain cheap chemicals. Sulfates (also called SLS, Sodium Lauryl Sulfate, or Sodium Laureth Sulfate) in shampoos are a foaming agent that have been shown to damage hair in many ways. In addition, the American Academy of Dermatology explains that sulfates can be extremely irritating for those of us with sensitive skin. But even some of the main brands are creating sulfate-free product lines, such as Pantene. If you are looking for great sulfate free conditioners, you can find that list here. This post contains affiliate links. All of these products are available in America. Some may be unavailable in order countries like India and Australia.